Another week and Chaos still reigns supreme over at Games Workshop. They've got a new set of Chaos Havoc marines, as well as a new squad of Chaos Terminators (honestly, some of my favorite miniatures for a very long time from the series). If that weren't enough, they're also taking orders for this month's issue of White Dwarf. Adepticon is happening up in Chicago. I hope everyone that's there and reading this will head to Portillo's for me at least once. Italian Beef (dipped), Polish sausage (Maxwell Street Style), and a Hot Tamale. If you're not there, then you've not had a chance to see all the previews that Games Workshop has going on. So, while I can't give you a good meal through this format, I can give you those previews. There's a new Battletome up for order from Games Workshop for Age of Sigmar. It's for Khorne, and along with it, there's several new Khorne kits to order. Aww rats. The dark spaces in hive cities are loaded with them. And some gangs in Necromunda have decided to turn them from a nuissance into an asset. Cawdor, in particular, have strapped bombs to these little squeakers and aimed them at the enemy. You can order your own squad now. GAMA is going on this week in Reno (security provided by Lt. Dangle). Of course, companies are showing off their latest and greatest things, as well as giving us a look at what they're coming out with for the rest of the year. Games Workshop has a lot going on, from a new skirmish game to more expansions and variants for their current games. Have yourselves a look. Games Workshop has Shadowspear, a new 2-player Box Set for Warhammer 40k, available to order up on their website. Heading back to pretty much where it began, you've got Marines of the Ultramarines chapter versus Chaos Marines. Yes, it's 3+ saves for everybody. It's a whole host of figures, along with a 6-scenario campaign you can fight along with a swell. I'm not entirely sure how effective a giant bloated slug-thing would be in a game of Blood Bowl. Seems like it wouldn't really be able to keep up with the action all too well. But that's for you to work out on the pitch. A new Nurgle team, including a new Rotspawn, is available to order from Forge World. The other week, everyone was excited for the Ambull to once again making its presence known on your tabletops. Well, if you're not a fan of bugs, but are a fan of giant robots (that'd be someone like me), they have the new Ambots figures available to order, along with a pair of Ork vehicles. It's just a whole bunch of "stuff PB would like" over there. Games Workshop has a new batch of releases up in their webshop for you to check out. 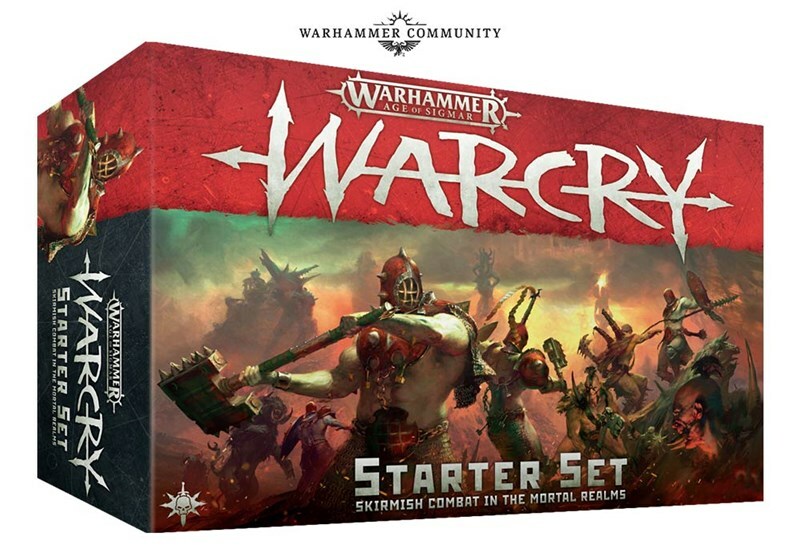 You can order yourself new starter kits for the Idoneth Deepkin and Nurgle forces for Age of Sigmar. You can also get your name on the list for the new White Dwarf issue. Nothing quite like curling up with a good gaming magazine. Mind powers, Swede. Mind powers. That's what you get with the latest trio of releases for Necromunda from Forge World. A Trio of Bounty Hunters with unique powers are available to order now. And as a bit of a Terrain Corner on a Friday, there's also several terrain kits that you can order for use with your Necromunda or other sci-fi minis games. The latest expansion for Blackstone Fortress is now available over on Games Workshop's website. While I'm not necessarily afraid of bugs, the idea of a huge, lumbering behemoth of one coming for me doesn't sound that fun, either. But The Dreaded Ambull brings you just that. You're gonna need a really big can of RAID.